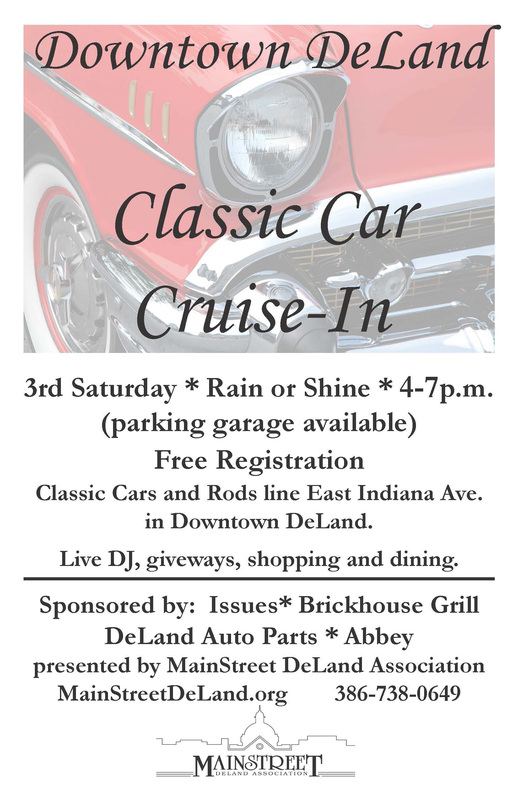 Classic Cars & Rods line East Indiana Avenue in Downtown DeLand. Live DJs, giveaways, shopping and dining. Every third Saturday rain or shine (parking garage available). Free registration.